The Skyline of Sydney Like You've Never Seen It Before! Growing from a small British convict settlement in the 1800s to a vital international center of activity today, Sydney is both Australia's largest city as well as the country's cosmopolitan representative to the world. 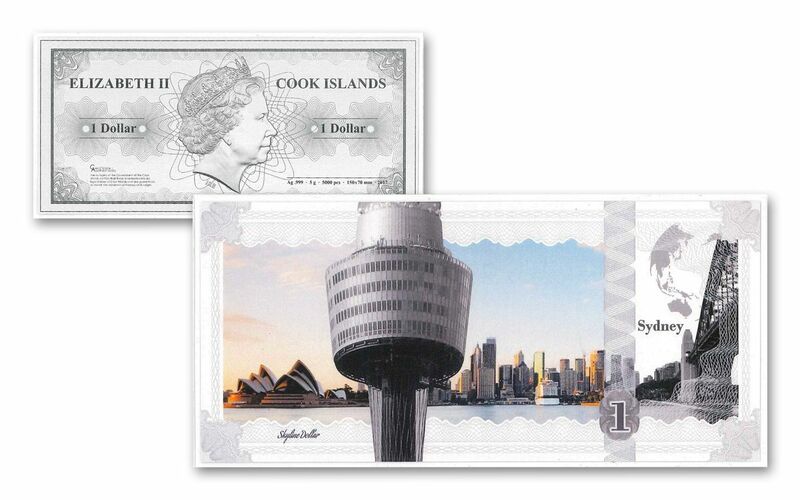 And now, you can bring Sydney's gorgeous skyline home with this first-ever legal-tender silver note -- part of the new "Skyline Dollars" collection! A WORLD FIRST! -- As you can see, this isn't your normal silver dollar! Struck in five grams of highly-pure 99.9% fine silver, each Sydney Skyline Dollar is expertly minted using state-of-the-art technology. The result is the world's first legal tender silver note -- measuring 15x7 centimeters with a thickness of only.045 millimeters. That's less than half the thickness of an average sheet of paper! GLOBAL TREASURES IN VIVID COLOR! -- Advanced colorization techniques bring several of Sydney's icons to beautiful life! The top deck of the Sydney Tower sits over a panoramic view of Sydney Harbour. The iconic Sydney Opera House greets you on the left, while the city's skyscrapers fill out the right, ending with the Sydney Harbour Bridge. INTRICATE DESIGNS IN A PROOF-LIKE FINISH -- Elaborate guilloche patterns compliment both sides of this silver note, struck to a proof-like finish with lustrous fields and sharp details. 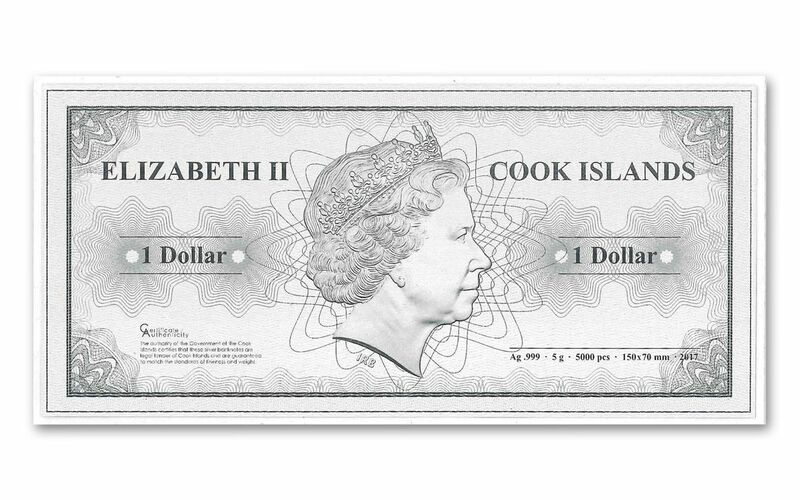 COOK ISLANDS LEGAL TENDER -- As we hinted before, each 2017 Silver Sydney Skyline Dollar is one dollar Cook Islands legal tender, a fact reflected on the note's obverse along with Ian Rank-Broadley's profile of Her Majesty Queen Elizabeth II. AN EXTREMELY LIMITED MINTAGE -- You'll also find the note's weight, silver purity, issue year and size on the obverse, including the fact that this phenomenal note has a limited mintage of 5,000 pieces! Part of an eight-note series, this Sydney Skyline Dollar is both a great collection addition AND a perfect gift for the world traveler in your life. But don't wait too long -- this note's premier status and limited mintage make it one attractive sight! 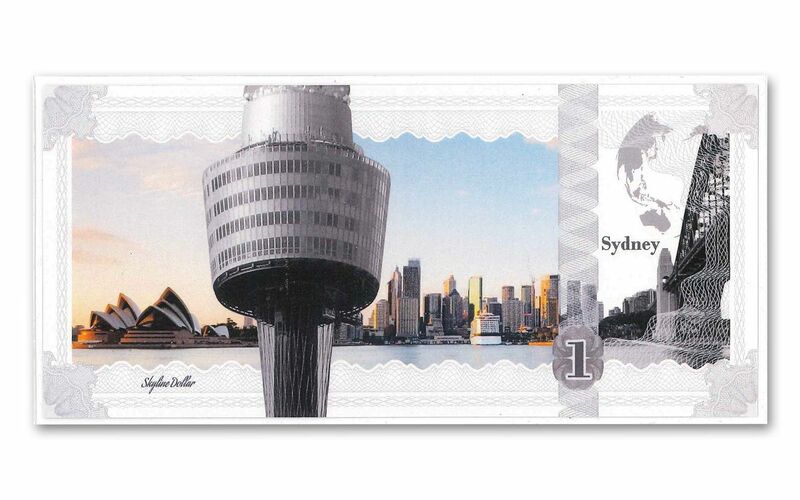 Update your itinerary and order your own Sydney Skyline Dollar today!